This was a great opportunity to transform a community-driven process into a visual document. 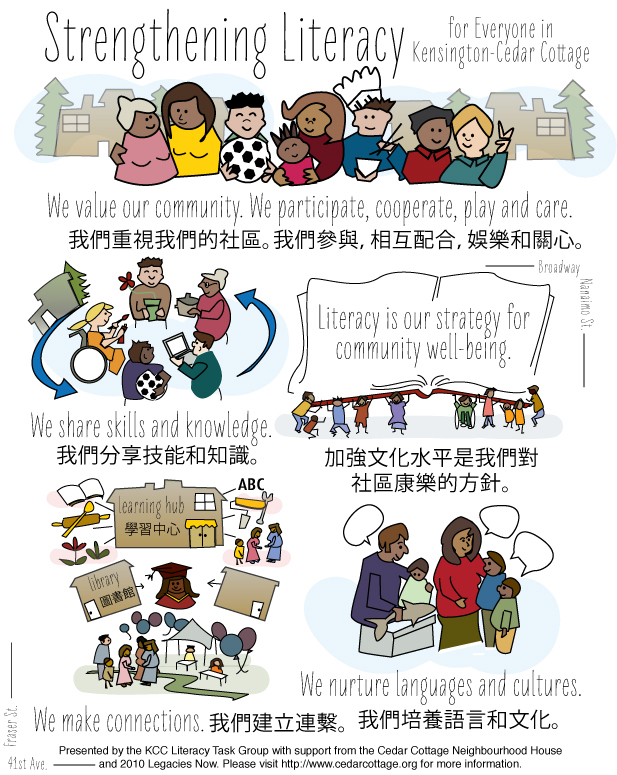 The illustration for the Kensington-Cedar Cottage neighbourhood’s Literacy Plan is below. It’s an amazing neighbourhood full of diversity.